PITTSBORO, N.C. (March 1, 2018): There’s no arguing that the creation of junior dragsters has greatly increased participation in the sport, providing an easy entry and often growing into either a serious hobby or a lifetime profession. Some of today’s top drivers got their start in the junior ranks. Despite their inherent value for the future of the sport, the classes can often get overlooked. For Joe and Betty Edwards of Door Slammers Plus, quite the opposite is true. The couple believe strongly in junior dragster racers, supporting the PDRA Top and Pro Junior Dragster classes in impactful ways. Just like last season, Door Slammers Plus will, at each event, provide the driver with the best reaction time during the third qualifying session of both junior classes with $25 and a t-shirt. At the PDRA World Finals, Door Slammers Plus (DPS) ups the ante, giving a tablet to the best reaction time during the third qualifying session. Additionally, at the end of the year, names of drivers in each of the classes are put into a hat. DPS will choose a fan to draw a Top and Junior name. Those two winners will each receive a computer. A new Top Junior Dragster racer will be joining the PDRA this season, Blake Toler. 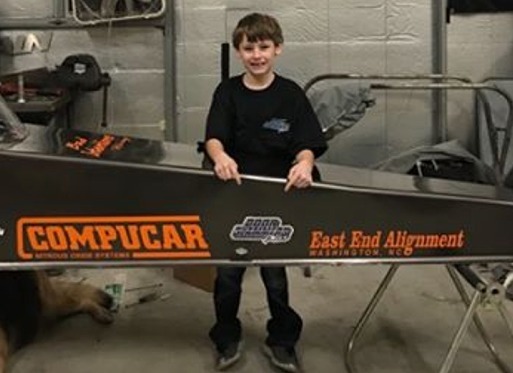 Door Slammers Plus is backing Toler, and continuing their sponsorship of Top Sportsman racer Henry Dogay as he debuts a brand new car this season. Beginning Door Slammers Plus was a natural fit for the couple who recognized the need for a news site that encompassed all door car classes. They now cover every PDRA event and other events as requested across the country. Racing can often be a thankless job and while that rarely deters those who are passionate about the sport, support like Door Slammers Plus shows junior racers can go a long way in shaping the future of the sport.